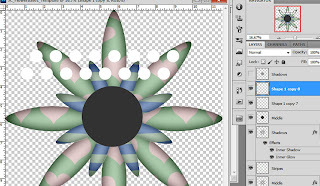 Create a Flower Decoration - Plus Free Supplies for Tutorial provided! 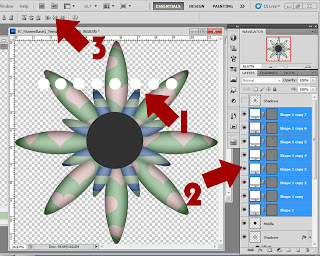 You can download the supplies used in this tutorial here! 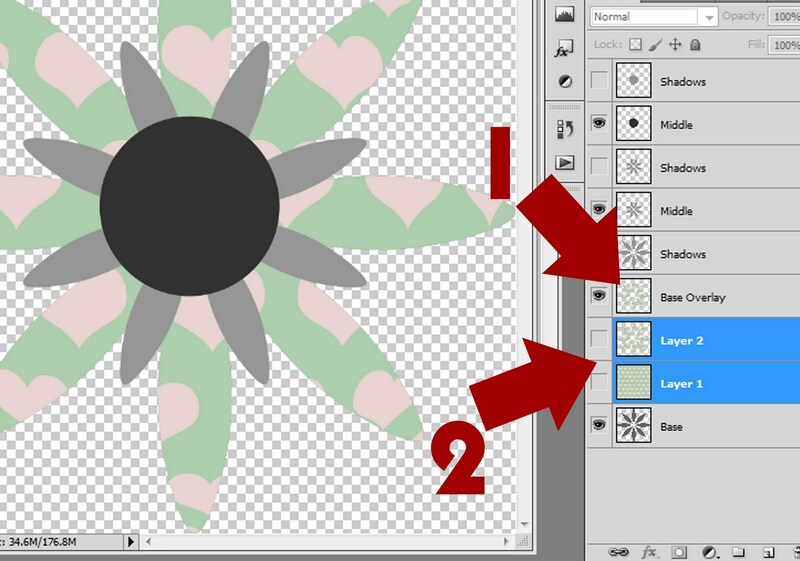 Highlight the bottom layer "Base"
Open the "JC_HeartsBG.jpg" that came with this tutorial. 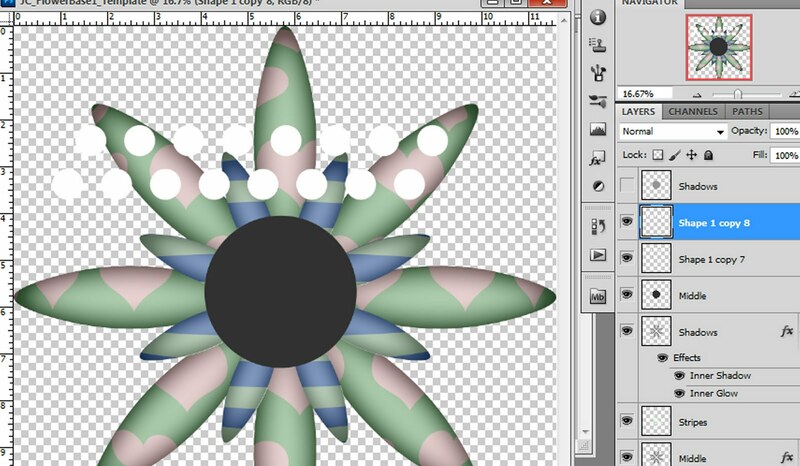 Drag it over to the "JC_FlowerBase1" document. 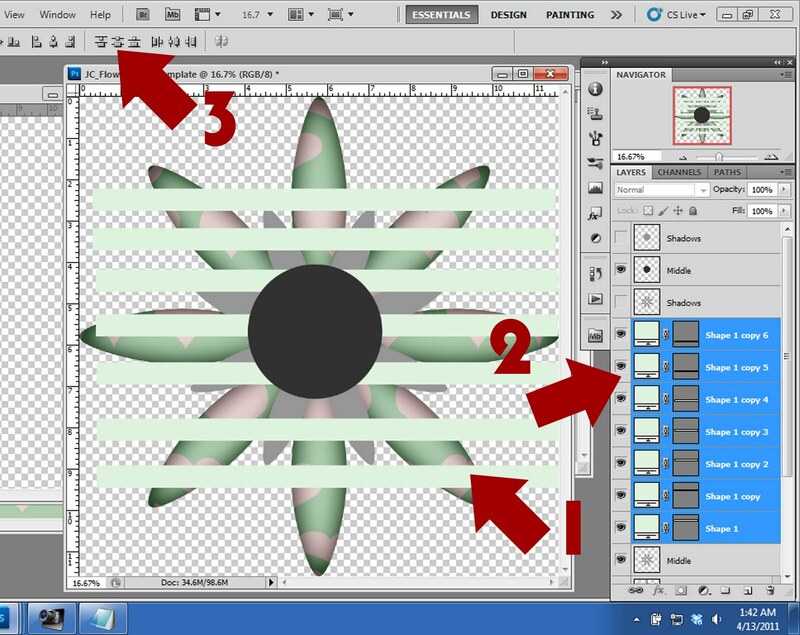 (Make sure that it's on the layer right above the "Base"
While holding down the CTRL key on your keyboard click on the layer named "Base"
You should see the active layer (marching ants) (2). This duplicates the active areas only. 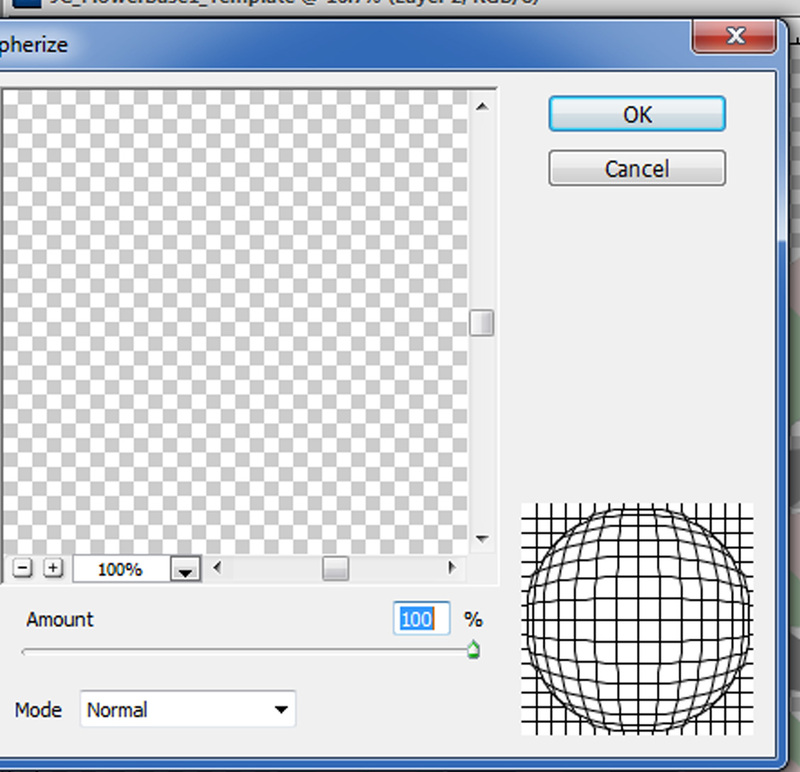 Now we're going to use the Spherize filter. On the Top Menu Bar click on Filter. Then click on Blur and then Gaussian Blur. 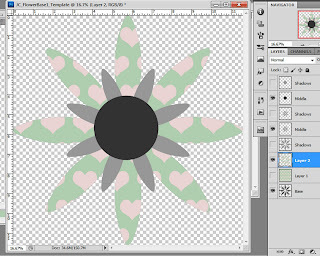 Highlight the layers you have now turned off (2) and delete these. 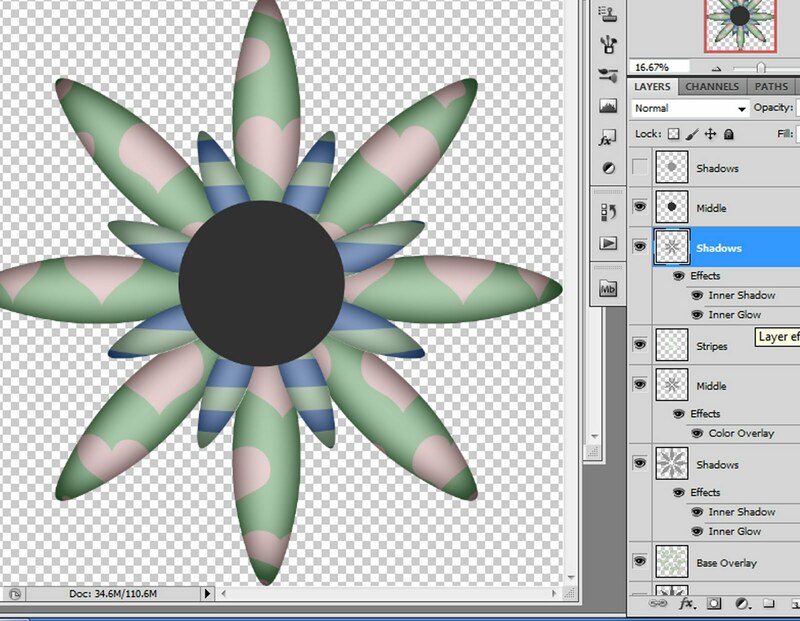 Now we're going to use the Blend Options to give it some shading. 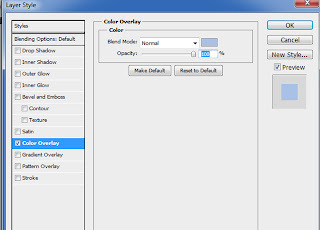 Since there are two colors being used we don't want to do this on the original Overlay we created. 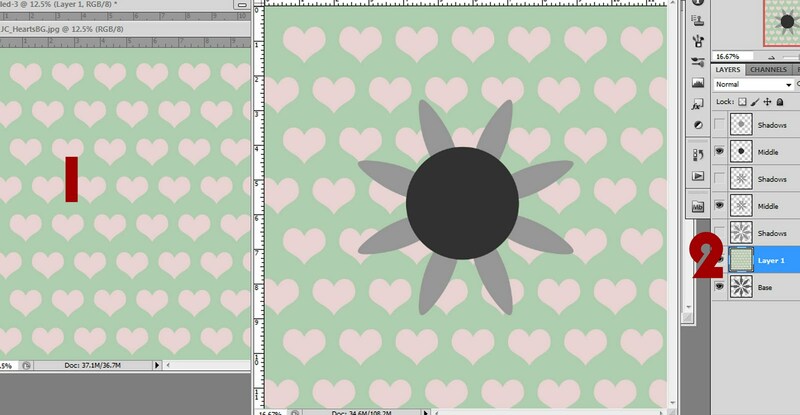 Basically all I did to make this layer was duplicate the Base layer. In the upper right corner you'll see the "Fill" slider. Turn this to 0. 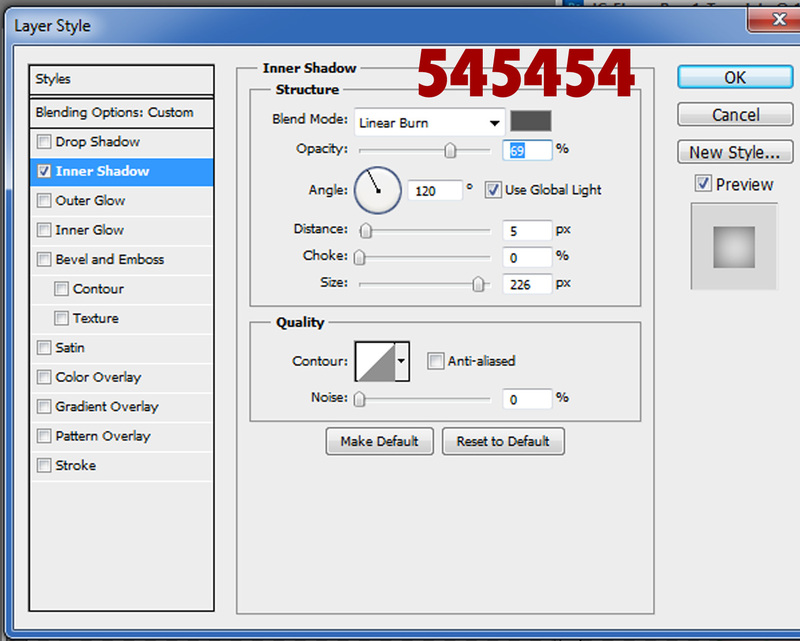 Change the Blend Mode to "Linear Burn"
Now go to the Inner Shadow Tab. Now we want to add some stripes to the "Middle" layer. Choose a color you want the stripes to be. Don't worry about making them evenly spaced. We'll fix that right now. 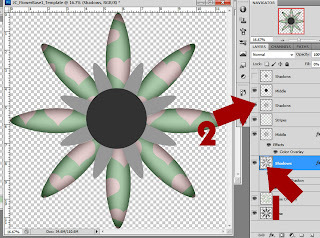 You'll need to change your curser from the "Shape" tool to the Normal tool to do this next stop. 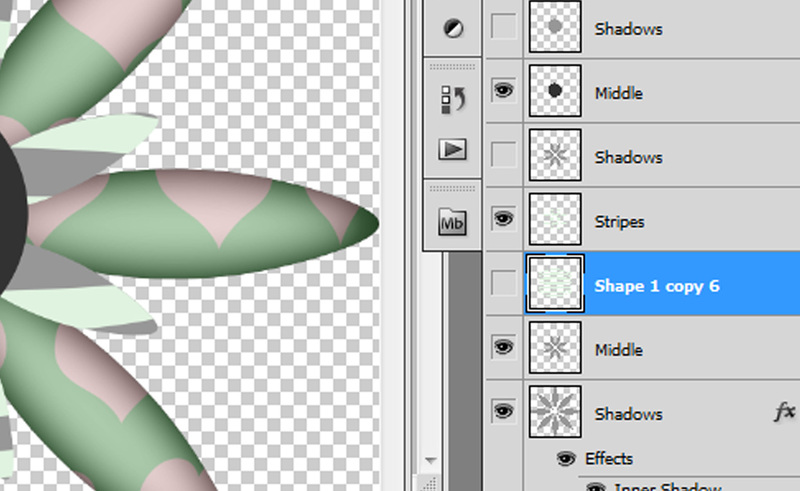 At the top you'll see the align menu (Window - Align) if you don't. Choose the one that says "Distribute Vertical". Now we're going to Spherize again. 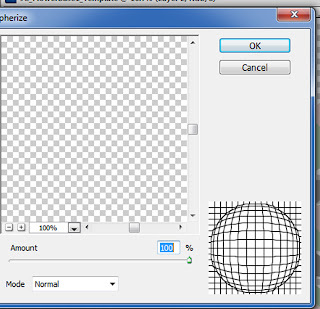 Go to Filter - Spherize and use the same settings you did above. 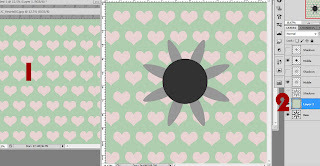 Now we want to Transform the stripes to make them almost the same size as the Middle layer. CTRL+T to transform. Bring the stripes in like I have. Click Enter to apply the Transform when you're done. Now we need to duplicate (CTRL+J). Rename this layer to Stripes and Delete the layer beneath. Now we need to color the Middle. 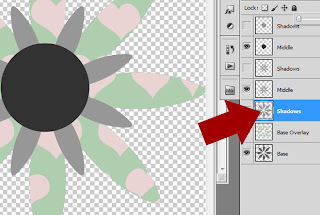 Double click on the Layer thumbnail. 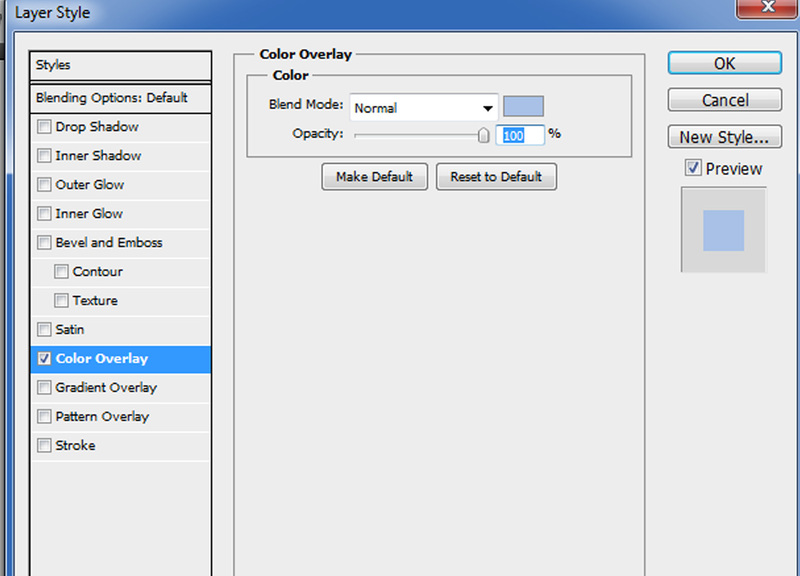 Go to the Color Overlay tab and choose a color you like. Do a Right Mouse Click and choose "Paste Layer Style"
Now we're going to add some dots to the Middle Circle. Choose the Elipse Tool and choose a color you want to use. 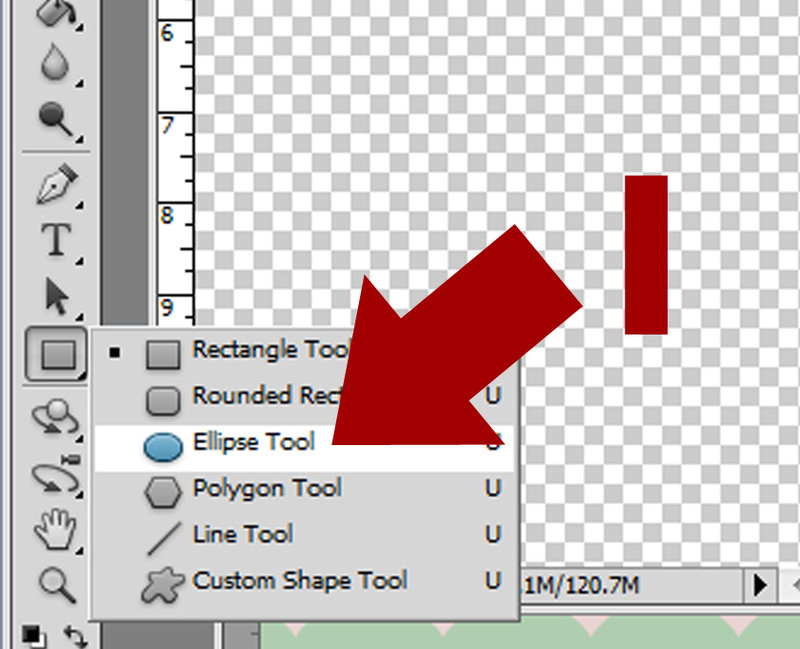 Change your curser from the Shapes tool to the Normal tool. 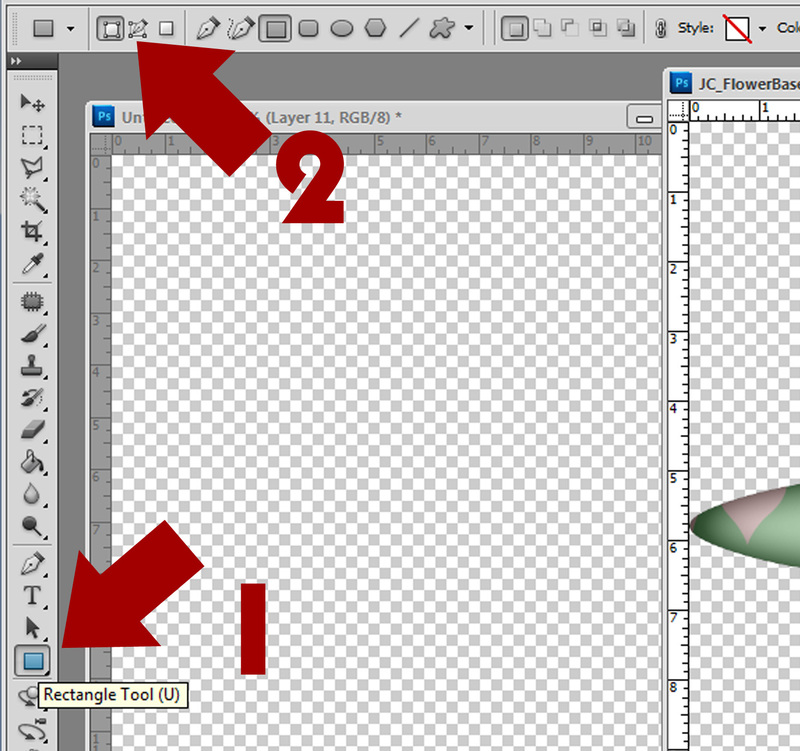 Now you should see the Align tools at the top. Choose the "Distribute Horizontal". 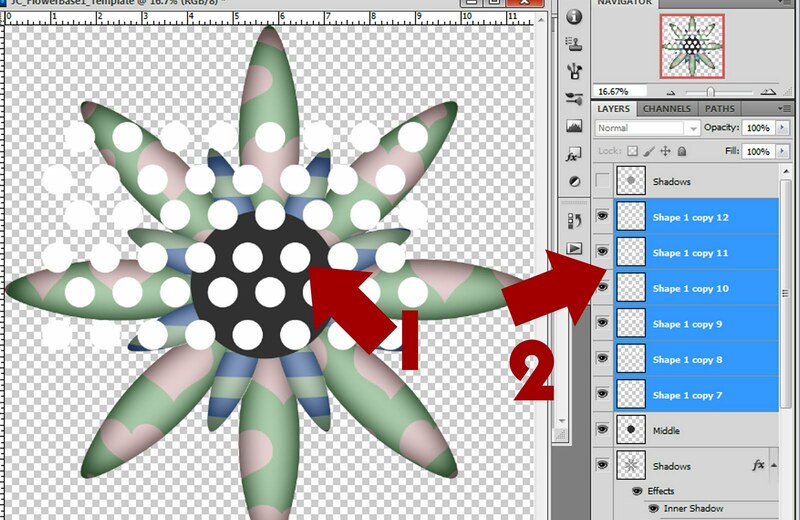 Now merge all the dots (CTRL+E) while they are still highlighted. 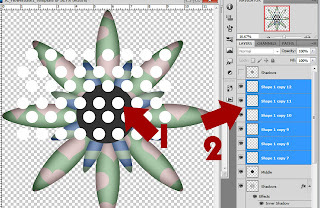 Duplicate the dots and bring down below and set them so they are like mine. Now we want to Spherize the dots. 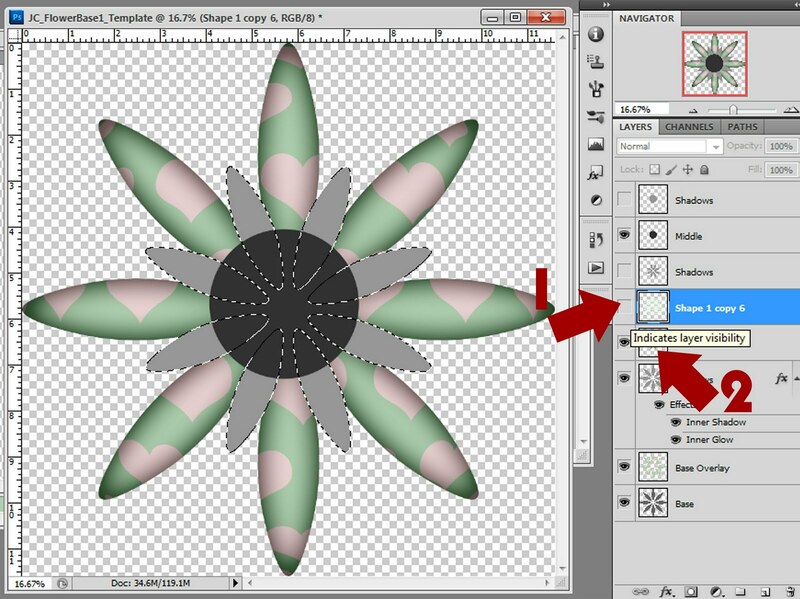 Go to Filter - Spherize and use the same settings we did previously. 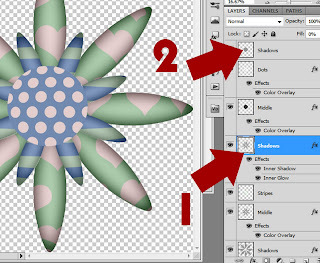 Use the CTRL+T to shrink the dots in so they are a bit larger then the Middle Dot. While holding down the CTRL key on your keyboard click on the Middle Dot (1) to activate the layer. Now we want to color the Middle Dot. 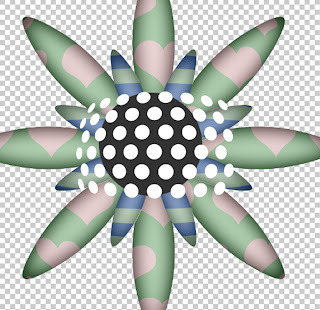 I decided to change the dots to a different color so I used the same steps above and changed the Color Overlay of the dots. Now we need to apply the shading. 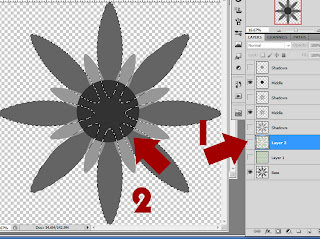 Go to the last Shadow we did (1) and do a Right Mouse click and choose "Copy Layer Style"
Now go to the Shadow layer for the Middle Dot (2). 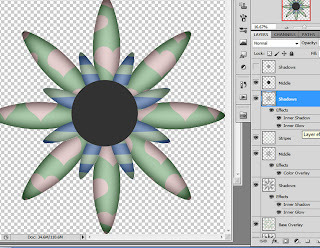 Turn it on and do a Right Mouse Click and Choose "Paste Layer Style"
I would love to see what you create with this. If you'd like to have your finished producted featured with this tutorial please email me a copy of the finished product! Here is the supplies for this tutorial, along with 2 examples I made using this tutorial. 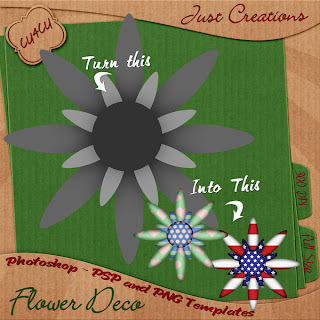 You can download this CU4CU freebie here! 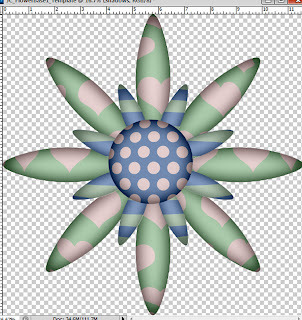 Today we're going to make a Glossy Button. You can download the button for this tutorial by emailing me and I'll email it to you. Here’s the button. It’s flat and boring. We need to add some shading and highlights to help it appear more realistic. 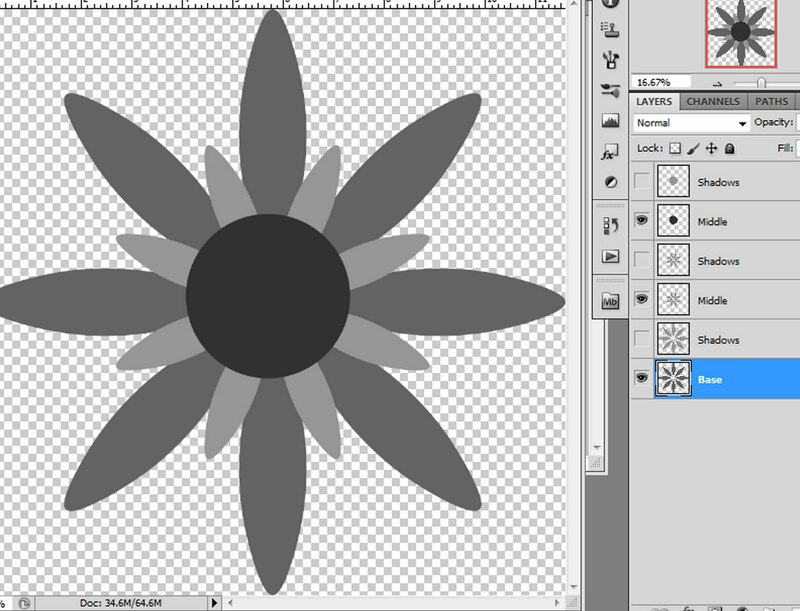 First we’ll start by adding some shadows. This should activate your layer (you’ll see the marching ants). Choose 100 as your contract pixel #. This softens out your shadow so it blends in. 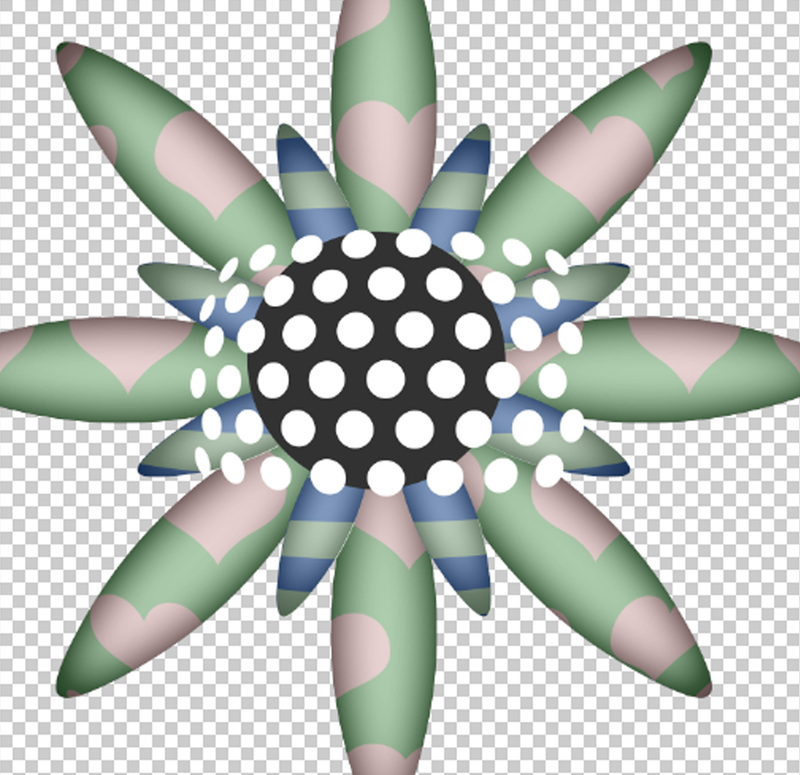 Since we don’t want the Shadow to spill onto the transparent parts of the image we’ll want to clip this. You should see that the layer is now active (Marching Ants) (3). 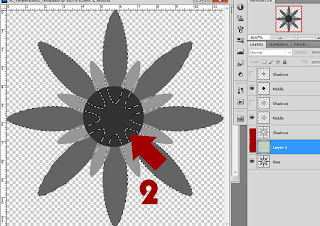 Do the CTRL+J on your keyboard to duplicate the Shadow so it’s the same exact shape as the Button Outer Ring. 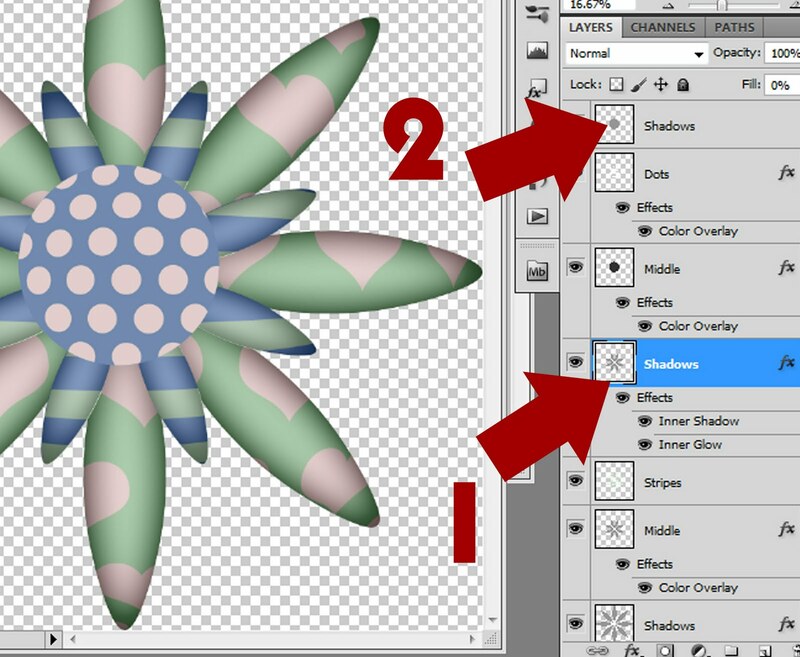 Rename this layer to Shadow (1) and delete the original Shadow Layer (2). Now you’ll notice the shadow is on both the outside as well as the inside of the button. This is not what we want so we need to fix that before we move on. Choose the Marquee Tool (1) and draw a circle around the button so that it only surrounds the inner shadow (2). Use CTRL+X on your keyboard (CUT). This will delete the inner shadow and leave us the outside shadow. 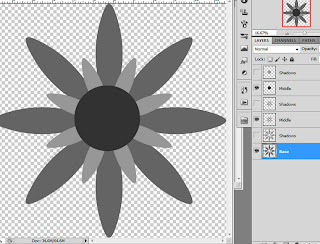 It’s still a little harsh so let’s lower the opacity of the Shadow layer. I’ve lowered it to 50% but if you want the shadow to be less or more you’ll have to change my settings to best suit your taste. Now we want to add a shadow to the inside buttons. While holding down the CTRL key on your keyboard click once on the Button Inside layer. You should see the marching ants around this layer. Choose 50 as your Contract Pixels. (2). 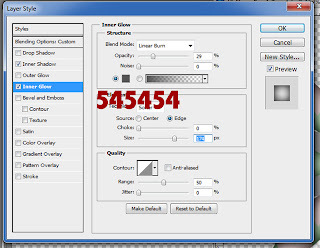 Click OK.
Now go back to Select and choose Inverse. Now we want to color this layer as we did previously. 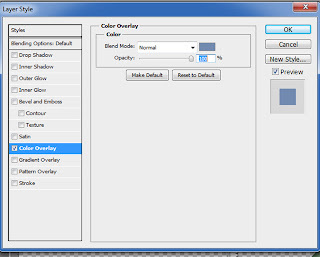 Double click on this layer to bring up the Blend Mode Options. While holding down the CTRL key on your keyboard click on the Button Inside Layer (2). Use your keyboard and do the CTRL+J (Duplicate). You’ll want to lower the opacity of this shadow as well. 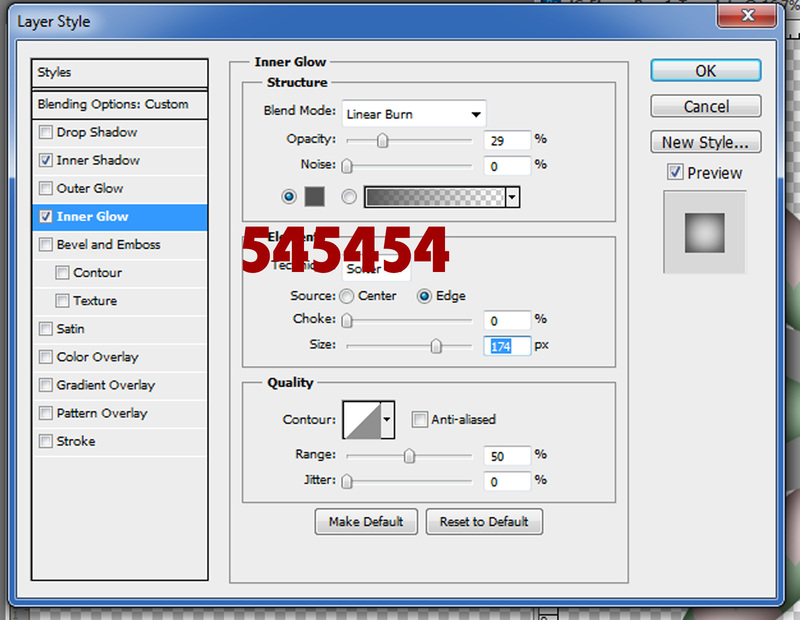 I chose 64%, but again, it’s up to your taste as to how much or little you want the shadows showing. Now we’re going to add some Highlights to the Button. Choose the Ellipse Tool and set your foreground color to white. Draw a large round shape out like I have here. 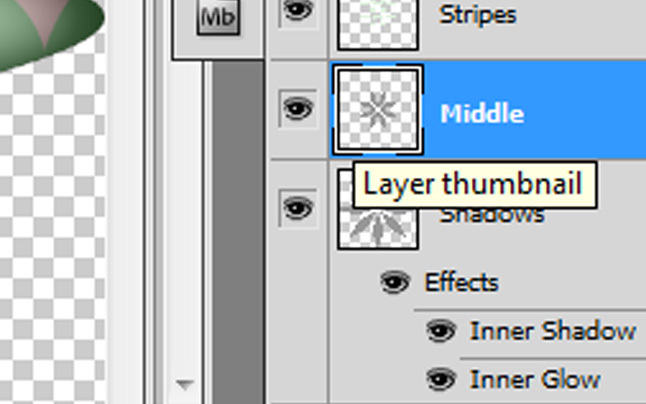 Make sure you’re on the layer right above the Button Outer Ring. 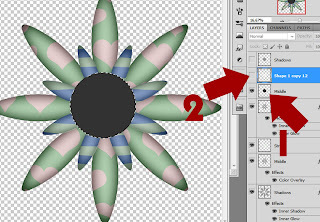 Change the color of the Duplicated shape. I chose red because it’s easy to see. 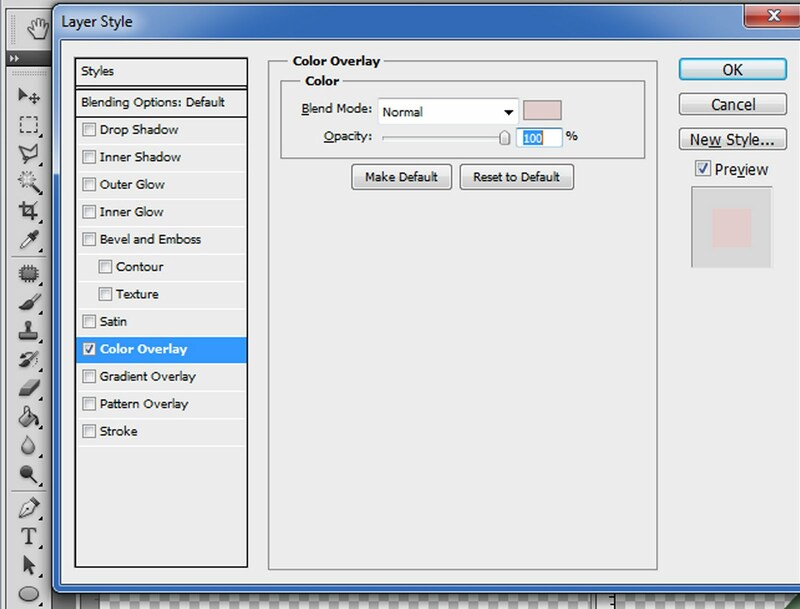 You can use whatever color you want, we’re not going to be keeping this layer. 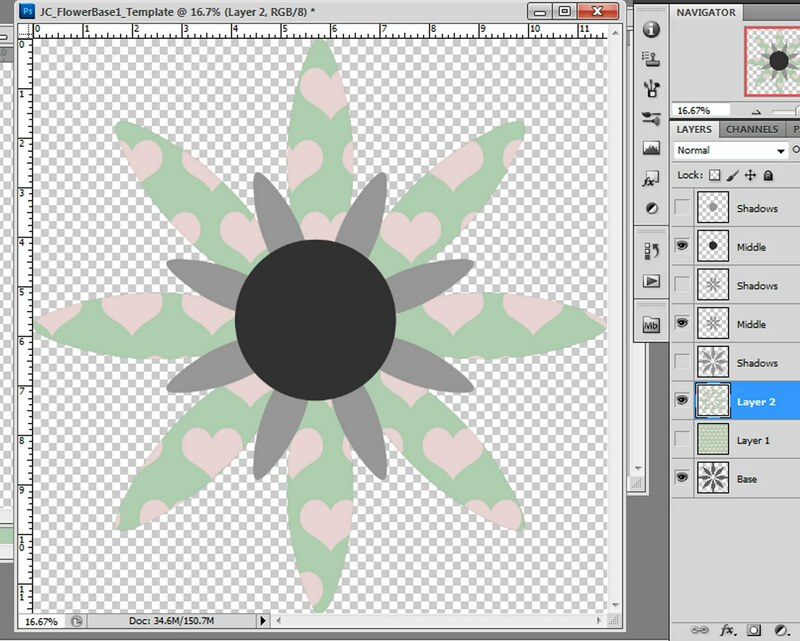 We’re using it as a clipping template. 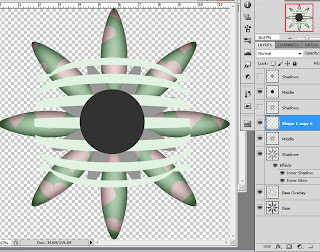 Bring the red shape down a bit so that you can see only a crescent sized area of the white. Make it look like I have here. If you haven’t Rasterized your layers (as I hadn’t in the previous steps) you’ll want to do a Right Mouse Click over the Layers and click on “Rasterize Layer”. Highlight the Original White Shape (2). While holding down your CTRL key on your keyboard click once on the Red Layer Thumbnail (1). Using your Keyboard hold the CTRL key and press X (Delete). Change the name of the layer to Highlight 1. Here is your highlight so far. Notice how it starts to make it appear glossy? Duplicate your Highlight 1 and bring it over the middle section as I have. You’ll need to shrink it in. 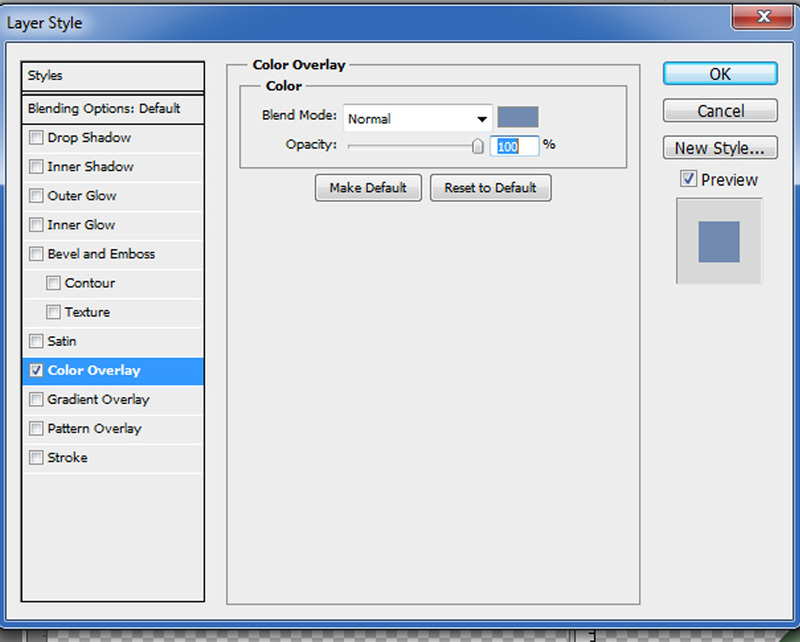 I’ve added some Highlights to the Layers Pallet here. 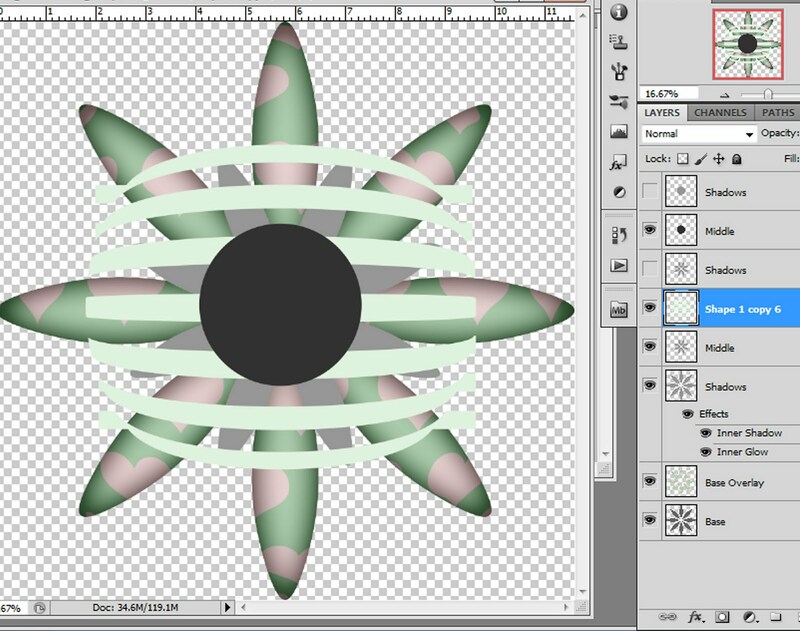 I didn’t go into creating them with this tutorial for time sake. I will do another tutorial on that soon. Change the Layer Blend Mode to Multiply (3). This won’t look great until we add some color to the button. We’re going to do that next. 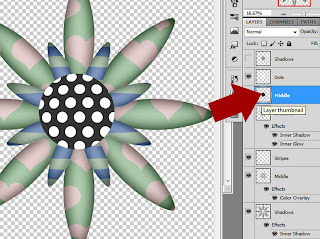 Double click on the Button Outer Ring to bring up the Blend Mode Options for this layer. 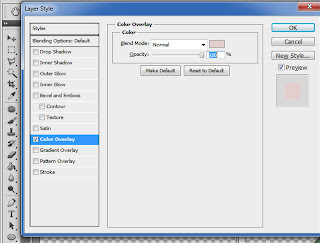 Choose Color Overlay and pick a color you want for the button. I’ve picked a purple. 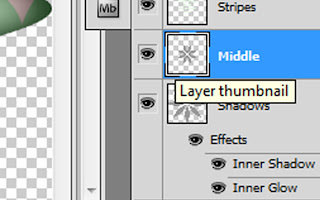 Now do the same thing for the Button Inside Layer. 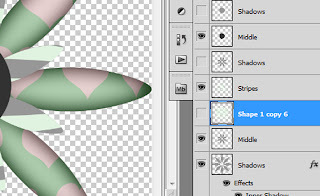 Now go back to the Button Hole Shadow and lower the opacity a little. Here I’ve put it at 48%. If you like it you can stop. However, if you think the highlights are a little brash go to the next step.